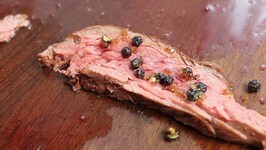 Scotch beef PGI XXXL Bavette Steak - A great recipe for Grill and Smoker. Scotch Filling is a tasty filling that makes the Pocket Beefburgers extremely delicious. Try this easy Scotch Filling recipe!